Listen to The Outdoors Show Saturdays 7-10 AM Eastern Time! Tune in to hear Scott & Steve's outdoor stories or the Lake and Land Manegement Tip of the Week!Click on Logo to listen live! 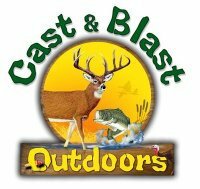 Listen to Cast & Blast Outdoors Show Saturdays 7-9 AM central time! Tune in to hear Steve Long & Rob Newman tell outdoor stories, and give valuable hunting/fishing tips. Ocassionally hear Scott Brown's Lake Management Tip of the Week! Click on Logo to listen live! If you wish to add your link, please CONTACT US and we will review your request. If the site appears beneficial to our clientele, we will gladly add it to our links page.